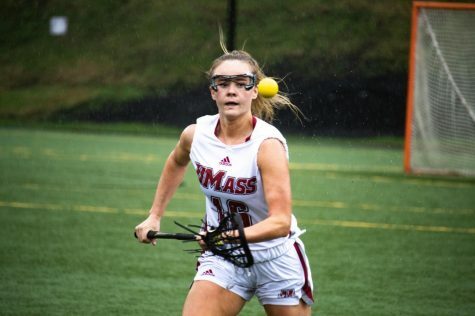 After losing its first game of the season, the Massachusetts women’s lacrosse team must now regroup and hit the road again to face Marist on Tuesday. 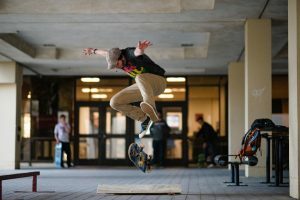 Over spring break, UMass ascended the national ranks, reaching No. 12 after a sixth-straight win against Stony Brook. While the rank is the highest for the team since 1988, a 10-8 loss to No. 15 Albany grounded the previously sky-high Minutewomen. 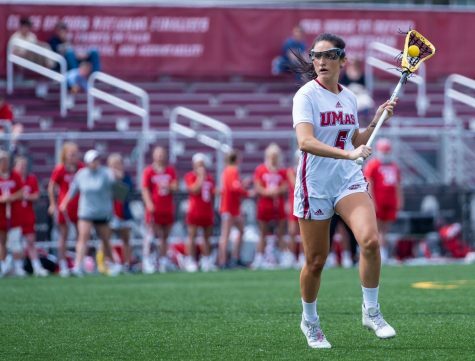 Despite the defeat, UMass still remains one of six teams in the nation with just one loss this season. 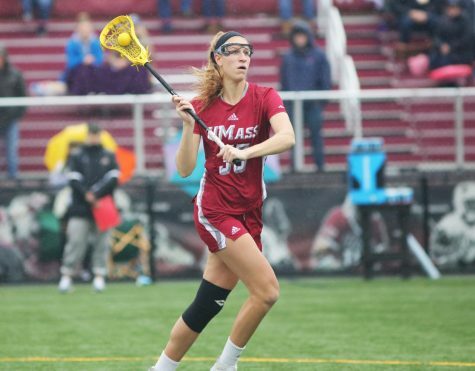 UMass coach Angela McMahon hopes her team can use Saturday’s game to learn from its mistakes. “While we don’t want to lose, we obviously have some things that we need to work out and I think we will hopefully come out on Tuesday strong and ready to go,” said McMahon. Converting on opportunities is an area McMahon would like to see her team improve in from Saturday’s game. 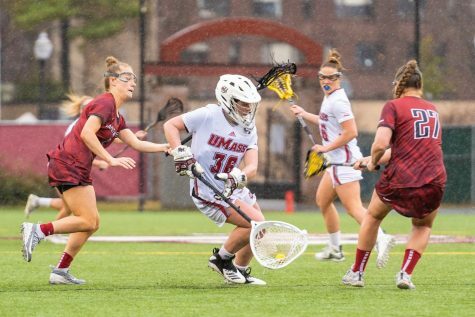 UMass attempted 33 shots against Albany and could only find the back of the net on eight of them. Their 24.2 percent shooting was well below their 44.5 percent average. The Minutewomen are led by freshman Katie Ferris on offense. She has 17 goals in the last five games, including four-straight hat tricks. “We’re definitely going to learn from [the loss] and fix our mistakes in practice.” said Ferris. Last year’s leader in assists and goals, Jackie Lyons, paces the team with 14 goals and 11 assists. Haley Smith and Sam Rush have provided instant offense off the bench for the Minutewomen. Smith has 13 goals on the season, while Rush has two hat tricks over the last four games. Senior Nazy Kerr, one of the vocal leaders of the team, leads the defense. 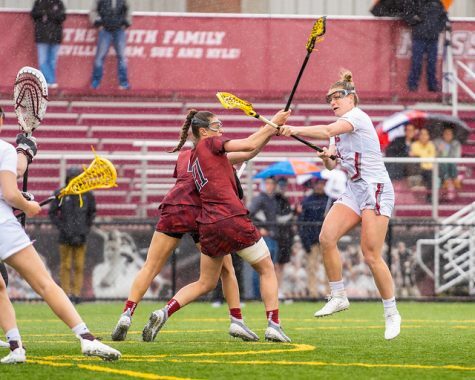 Junior defender Riley Perry leads the team in groundballs with 14, while Katie Florence patrols the net for the Maroon and White. Florence carries an impressive 6-1 record, a .532 save percentage, and a 9.22 goals against average. 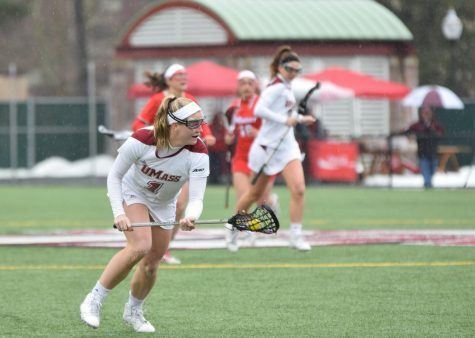 UMass and Marist are not familiar with each other on the lacrosse field. The meeting Tuesday will be the first between the teams in the schools’ histories. 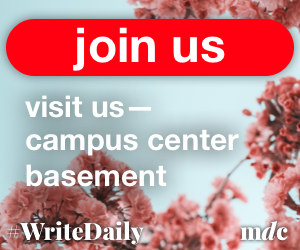 Marist (3-4), a member of the Metro Atlantic Athletic Conference (MAAC), enters Tuesday’s game slumping. The Red Foxes have lost three of their last four and are coming off a 15-8 drubbing against Vermont. In 2010, Marist won the MAAC tournament and earned a berth into the NCAA Tournament. 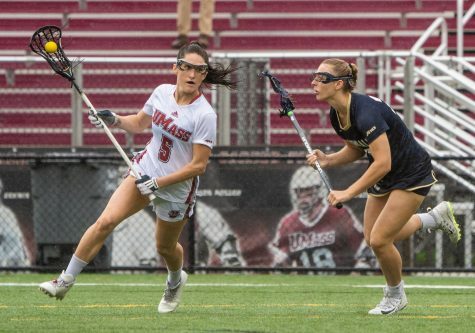 However, the Red Foxes received the daunting task of taking down lacrosse-powerhouse Maryland in the first round. 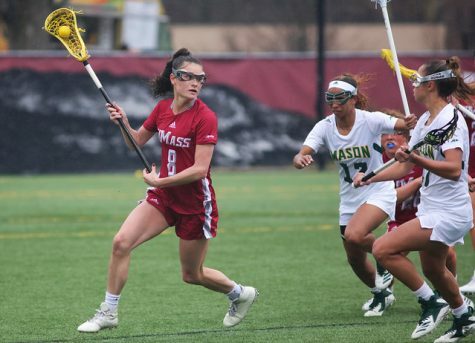 The eventual-national champion Terrapins dominated Marist and ended its season in embarrassing fashion, handing them a 20-5 loss. 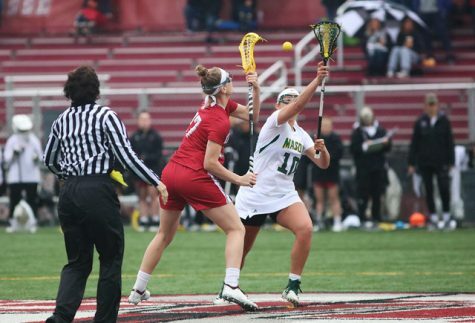 Defending MAAC Offensive Player of the Year Kelly Condon returns for the Red Foxes as their most lethal offensive threat. Condon leads the team in points scored with 22. Condon gets plenty of help from complementary players such as Jori Procaccini (17 goals), Ariel Kramer (14 goals) and Jamie Romano (11 goals). For the second year in a row, both Alyssa Littin and Ashley Casiano have shared time in the cage. Last season, Littin started 13 of the team’s 18 games, but so far this year, Casiano has earned the majority of playing time, starting six of the Red Foxes’ seven games. Considering that Marist returns a majority of its scoring and both goalies from last season, its struggles in 2011 have been puzzling. However, a decrease in scoring and an increase in goals allowed is a possible explanation. 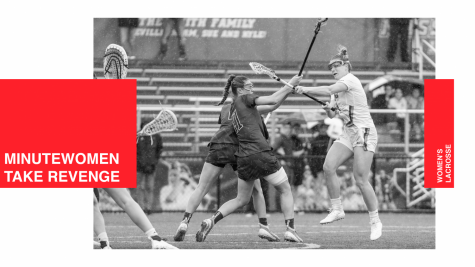 In 2010, the Red Foxes scored 10.72 goals per game and allowed 11.61 goals per game, but this season they have scored just 9.71 per game while allowing 12.29 per game. The Minutewomen are well aware that No. 2 Northwestern will be coming to town Saturday night, but they cannot overlook a Marist team that’s hungry for a victory. The game will be played at 4 p.m. in Poughkeepsie, N.Y.